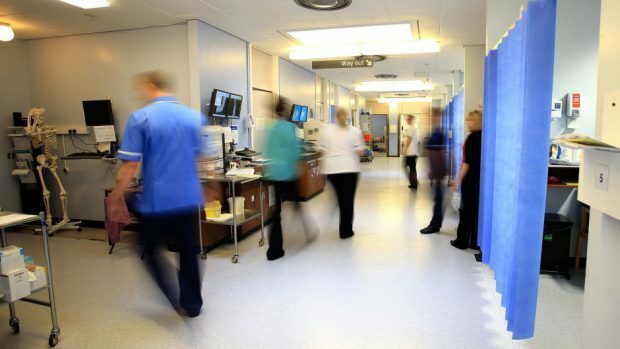 Health chiefs in the north and north-east are spending more than £100,000 a day on temporary staff, shock figures show. The stark reality of the cost of the doctor and nurse recruitment crisis is due to be discussed when the NHS Grampian board holds its annual public meeting. It spent a total of £18.8million on medical agency locums last year – up 18% on 2015-16 – and £3.4million on nursing agency staff. NHS Highland spent £14.7million on locums, including agency and payrolled staff, down from £15.2million the year before. However, the total for the current financial year to August 5 is £6.8million, 14% higher than the same period in 2016-17. In total, the 15 health boards across Scotland spent £13.8million on locums and agency nurses last year. Combined, Grampian and Highland spent £3.8million – almost 30% of the national figure. The Workforce Plan report, to be discussed by the Grampian board today, shows the cost of nursing and midwifery agency staff has soared almost one-quarter over the last year. A decision to stop using them within operating theatres has helped bring that down this year. Overall, NHS Grampian is required to make savings of £30million, or 5%, over the current financial year. Jamie Weir, from the Grampian Patient Action Coordination Team (Pact), said: “Until the health boards get parity in resources from the Scottish Government, this situation is only going to get worse. “NHS Grampian has always been at the bottom of the funding pile. Labour MSP for the North East, Lewis Macdonald, said: “These figures should be a wake-up call for the Scottish Government. “They tell us just how serious a position NHS Grampian and Highland are in, and how much of a shortfall there is in the staffing that the region requires. Conservative North East MSP Peter Chapman said: “The issues faced by NHS Grampian and indeed other health board areas are not impossible to resolve. an important element of the funding that Grampian has received in recognition of the challenges that it faces. Rhoda Grant, Labour MSP for the Highlands and Islands, said: “It doesn’t surprise me, to be honest. “It’s just the shortage of staff, when you think of GPs, when you think of consultants, when you think of radiologists. “It’s an incredible waste of money but that is what happens if you can’t get the staff. It has been an ongoing issue for a while and something has to give.